Throw ninja darts to shoot down enemy ninjas! 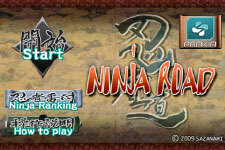 "NINJA ROAD" is the ninja shooting game which motifed theJapanese style painting art. Added a new rank in the ranking screen. Something happens when you reach to the score 9999. 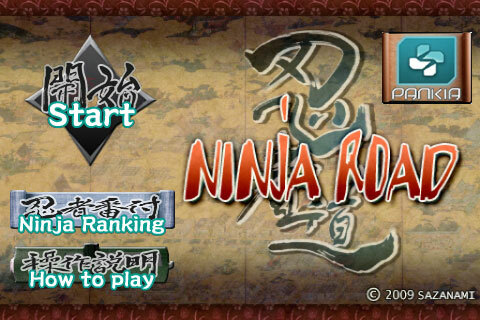 * Shoot down enemy ninjas and aim the top score! Enemy ninjas runs across the bridge, aiming to the castle. The player becomes the ninja who protects the castle, and shoot down as many enemy ninjas as possible by flicking the ninja darts ath them. 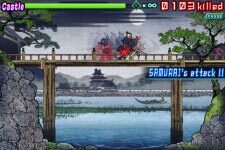 The castle will be attacked when the enemy ninja goes over the bridge, and the game ends when the castle burns down. 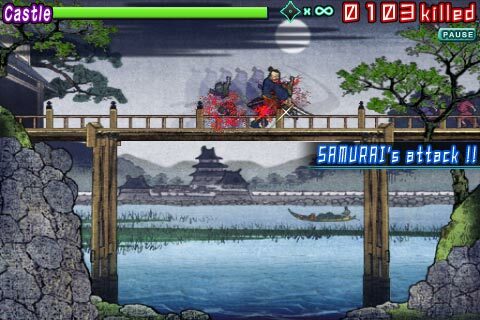 The player gets scores by shooting down enemy ninjas, so try and aim the score as high as possible. 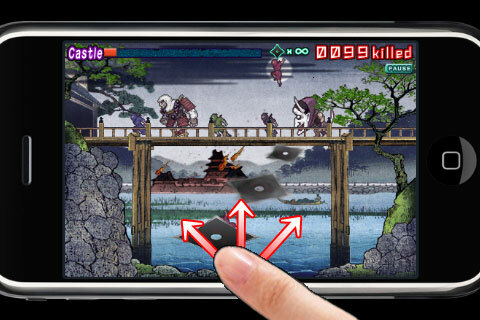 Touch front of the screen and flick towards enemy ninjas. The ninja dart appears and flies towrds the flicked direction. Enemy ninjas will fall down the bridge when they got killed. 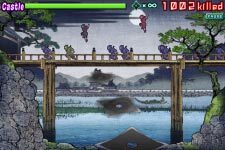 * Enemy ninjas move in variety of movements! Enemy ninjas confuse the player by variety of movements. Shoot down ninjas without being puzzled by them. 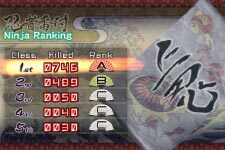 - Added a new rank. - Can move from top menu to ranking screen.